Bainbridge Clay Coated Foam Board is ideal as an non-archival mounting surface for art, photos, and more. 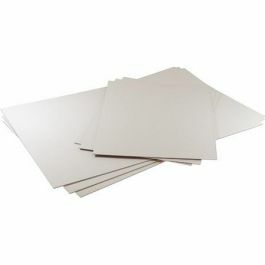 The FOMC11 foam board in bright white measures 11" x 14" and features an extra smooth finish. This multipurpose board is lightweight yet sturdy enough to resist denting. No other foam board cuts cleaner! The Bainbridge® brand offers a superior product in the foam board industry. 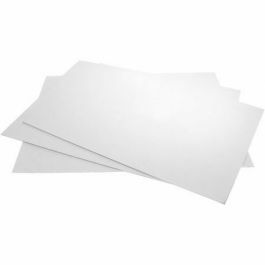 Our FOMC11 product is the Bainbridge® Clay Coated Foam Board in dual-sided bright white and is ideal for all non-archival mounting applications. Use for photos, art, comics books, memorabilia, and more. The foam board measures 11" x 14" and is 3/16 inch thick. 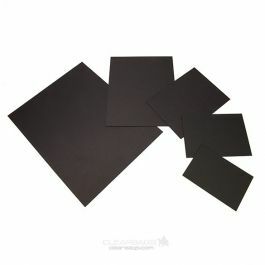 Clay-coated for an extra-smooth surface, this foam board is designed to facilitate extremely crisp, clean cuts. The foam board is lightweight yet rigid enough to resist common denting. 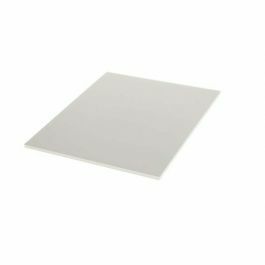 Create your own personal art gallery or photo display with this all-purpose mounting board. Outer Dimensions: 11" x 14"
Provides a non-archival mounting surface for an 11" x 14" product. See Pallet Delivery requirements for 11" x 14" and larger backing. Shipping quotes are subject to change based upon actual freight cost. Corrections will be made on final invoices to reflect actual shipping costs. ClearBags® does not accept returns on backing or foam board.